What Does it Mean to Google on Who is Linking to Your Web Site? Linking is what connects all the pages on the Internet. You have links in your website to let people navigate their way around. You may have links to other websites that you think will be useful to your visitors, and hopefully you have links coming to your site from relevant content. All types of links can impact your search engine optimization results, helping determine where your website shows up online. Though the hardest to control, inbound links pointing to your site can make the biggest impact. At its most basic, the concept is that if several high-quality sites are linking to your web site, then Google and other search engines figure your site must be popular with valuable content, and you have a better chance at achieving higher search engine rankings. The result is that you have higher quality links from other sites. This is an ongoing process, you never want to work this marketing strategy for a month then stop. 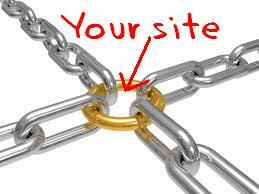 The Google PageRank algorithm looks at the pattern of links to your site as they build over time. Building the right kind of links can bring a major payoff, while a wrong turn could get you penalized. Trying to dig out of the Google Sandbox is not easy. • Directories – Professional organizations, online communities and forums, business directories, etc. can all potentially provide good links to your site. There are several premium directories that are staples in an SEO firm’s link building toolkit, like DMOZ.org. Keep in mind that your listing itself should be optimized in order to reap the full link juice benefits. • Press Releases – Writing and submitting press releases online can help you get your news in front of more people and build links to your site. (Be sure to use best practices for writing and evaluate carefully your outlets for good links). • Blogs – Link to relevant pages on your site from your blog. Build relationships online with other bloggers, too, and they may want to link back to you! Active blogs with high visibility and large followings are going to be your best bet, but you can mix it up over time targeting lesser known bloggers, too. Keep in mind that as other sites grow in PageRank, the value passed to your site will also grow. • Create Some Link Bait – Make sure your content is so fascinating or funny that people will want to tell others about it. This is the ultimate for building naturally growing incoming links but of course hard to do. A sample schedule could mean every month you list your site in two good directories, link to interior site pages from a couple relevant posts in your blog, distribute one press release to news sites, and write one great article that other people may want to link to and then let them know about it. A word about selecting outlets is in order, too. You’ll need to carefully assess each place you target in order to determine the link value they can pass onto you. For example, different press release submission sites and directories can give you a wide variety in link value. This can be time-consuming to determine but worth it when your site’s PageRank starts to climb.